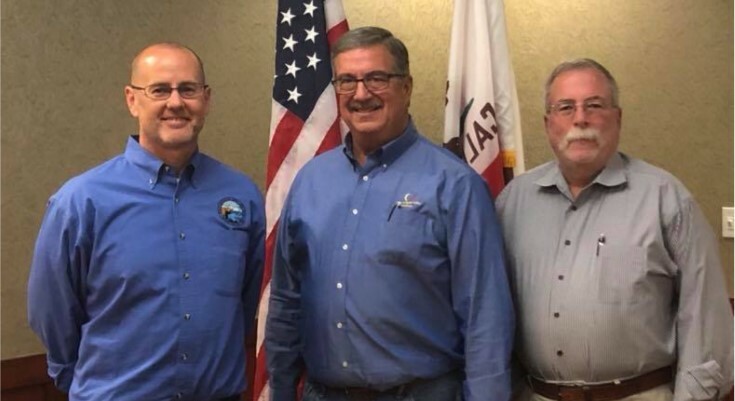 PALMDALE – Palmdale Councilmember Steve Hofbauer was elected to represent the Desert Mountain Division on the Board of Directors of the League of California Cities. Hofbauer was elected unanimously to the position of State League Representative to the Board of Directors by Desert Mountain Division communities at their meeting in Mammoth this montb. “I appreciate the trust my colleagues have placed in me by unanimously voting for me to move up to this important position,” Hofbauer stated. Hofbauer has been the City of Palmdale’s delegate to the League of California Cities Desert Mountain Division since 2003. He has been extremely involved with the League and served in various positions including: President of the Division from 2014-16; Vice President of the Division from 2012-2014; and Division Delegate to the League’s Public Safety Policy Committee for more than 10 years. He is also a published contributor to the League’s Western Cities Magazine and recipient of the 2010 Larry Chimbole Public Service Award, which recognizes elected officials who are dedicated to public service through outstanding service to municipal government, leadership and high personal character. “The City of Palmdale benefits from having direct representation on the Board of Directors for the instrumental League of California Cities,” stated Assistant City Manager J.J. Murphy.